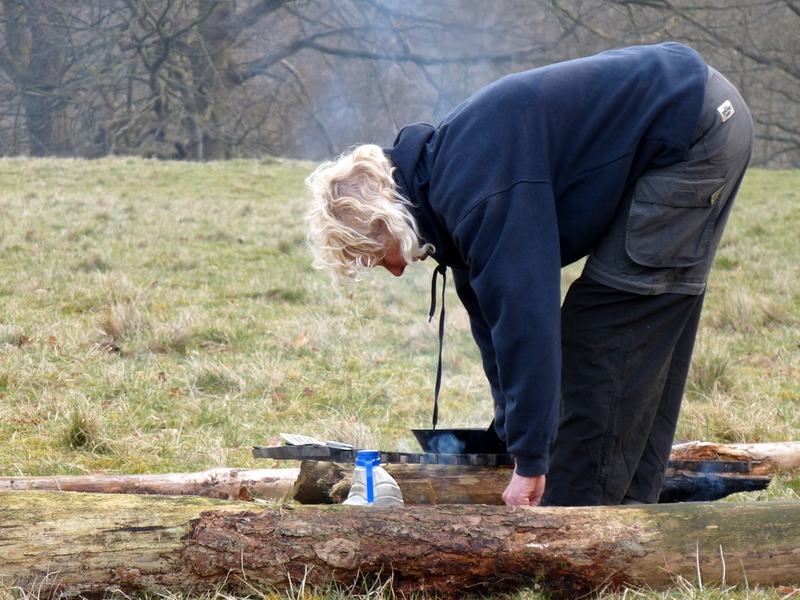 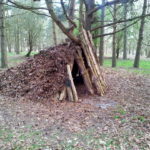 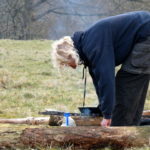 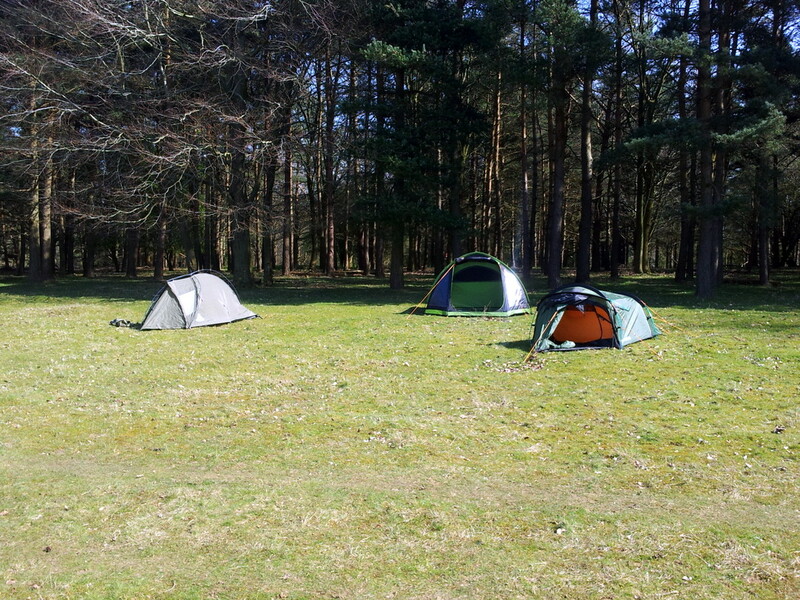 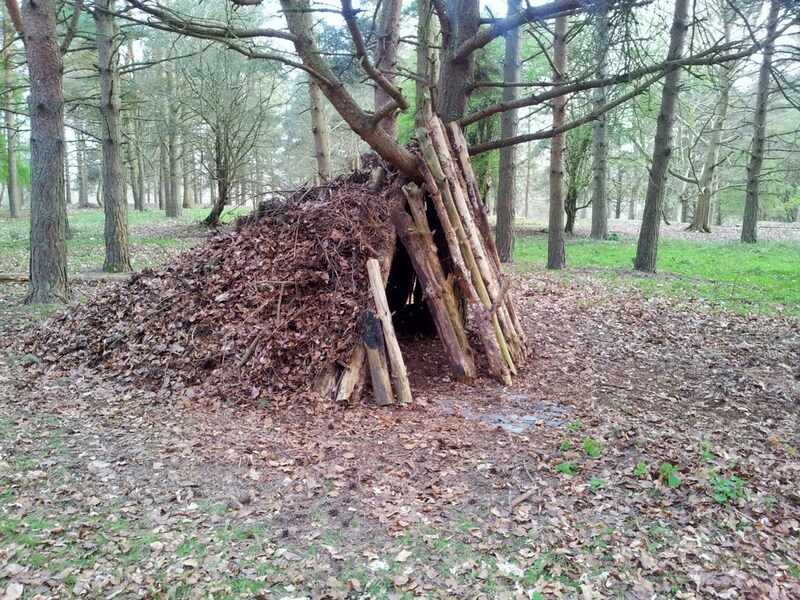 We have just got back from a really successful camping skills weekend. 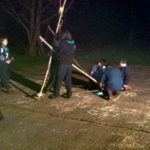 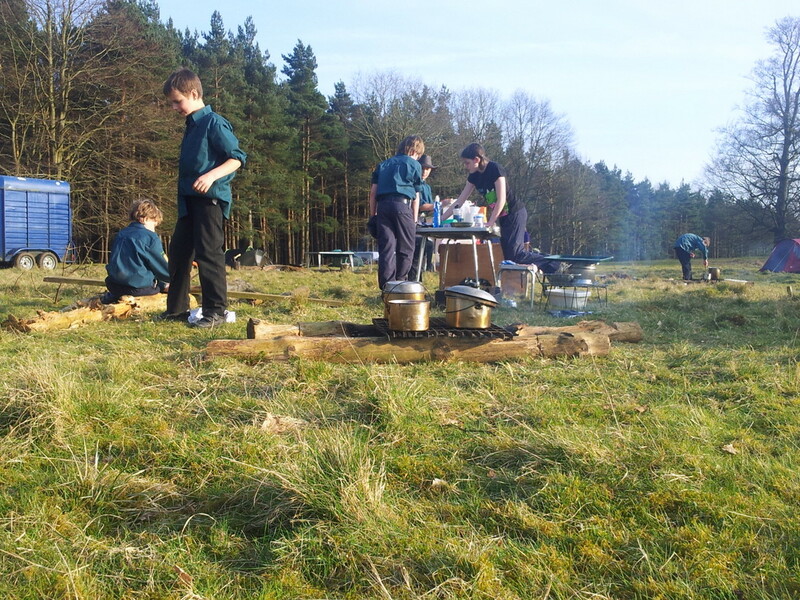 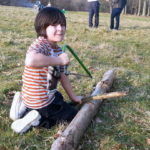 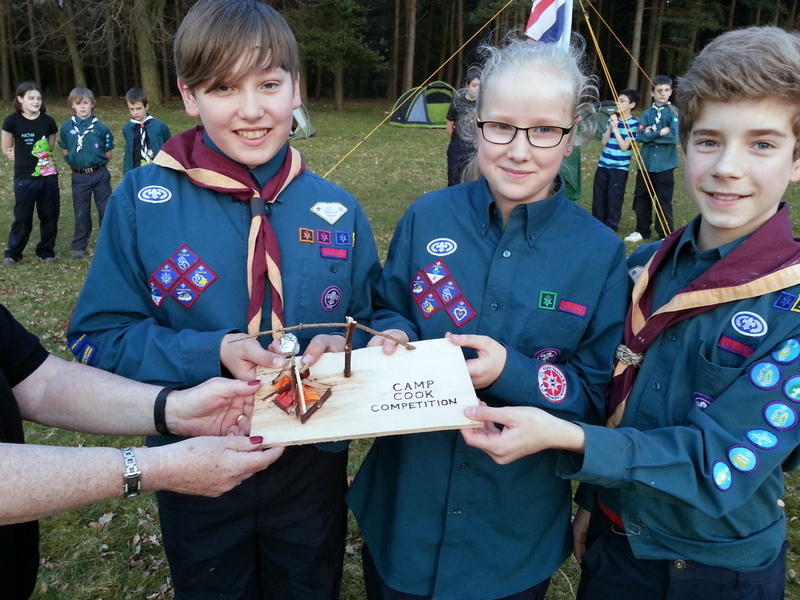 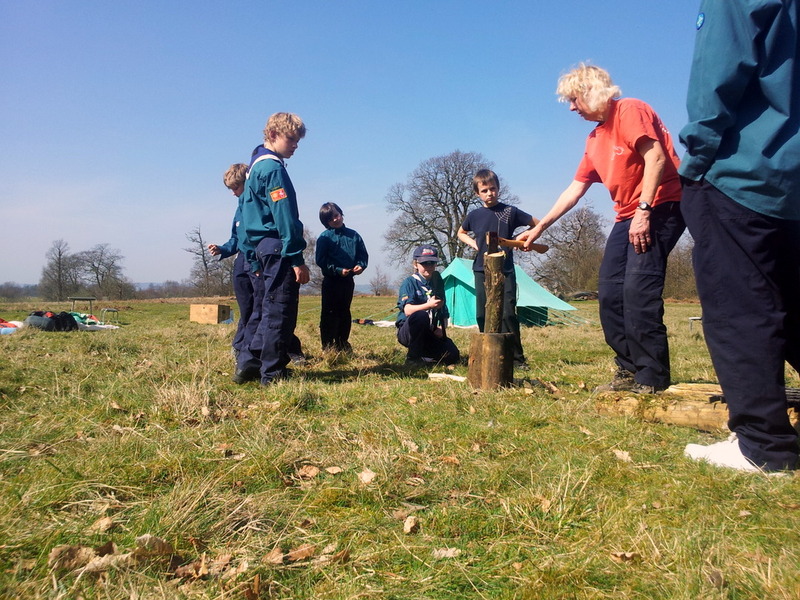 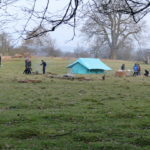 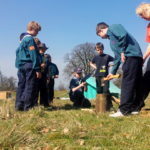 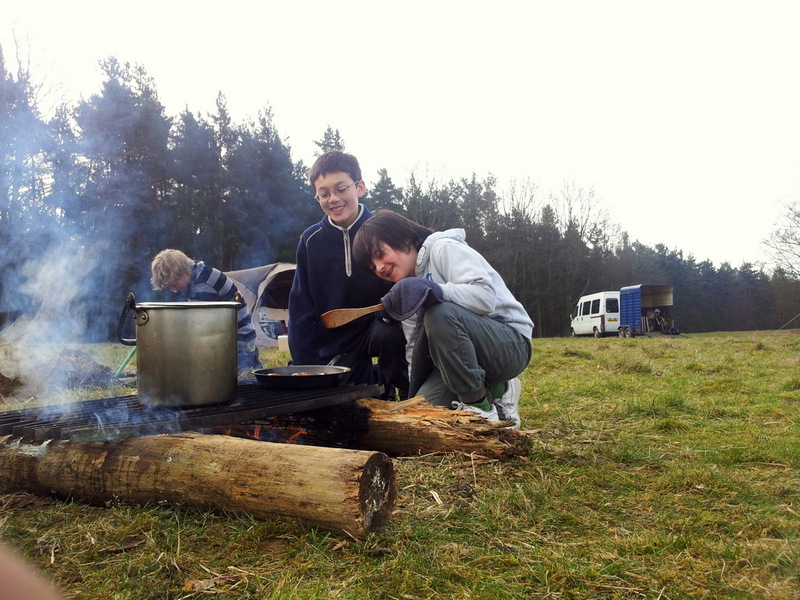 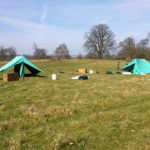 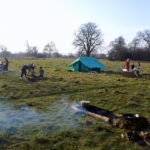 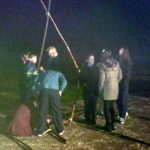 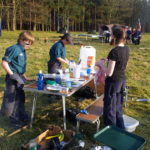 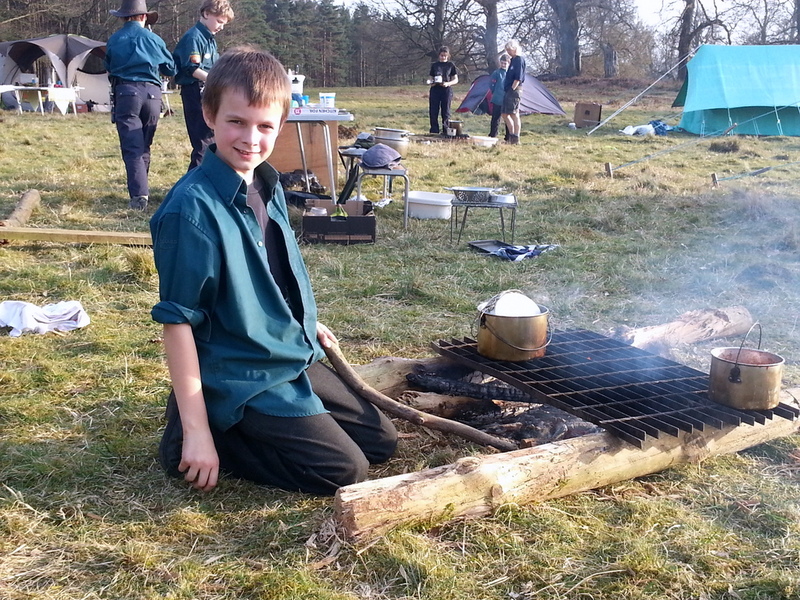 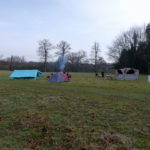 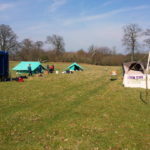 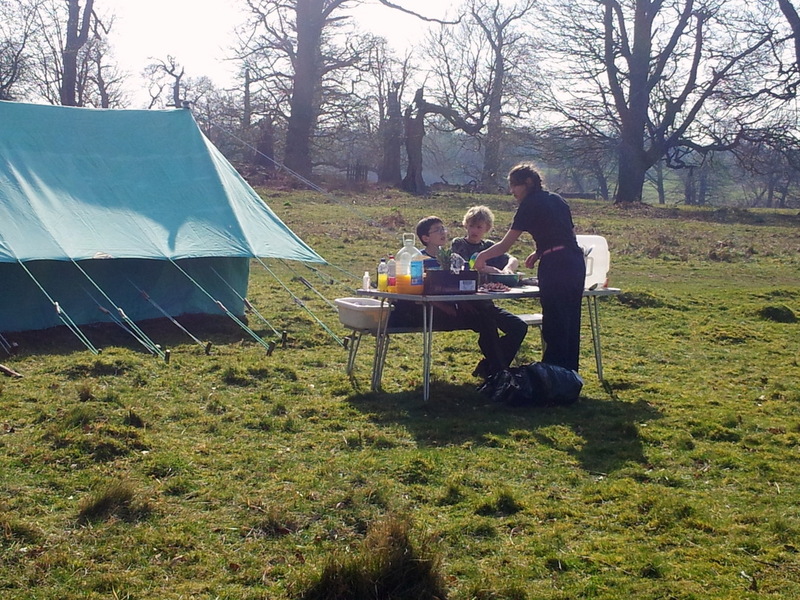 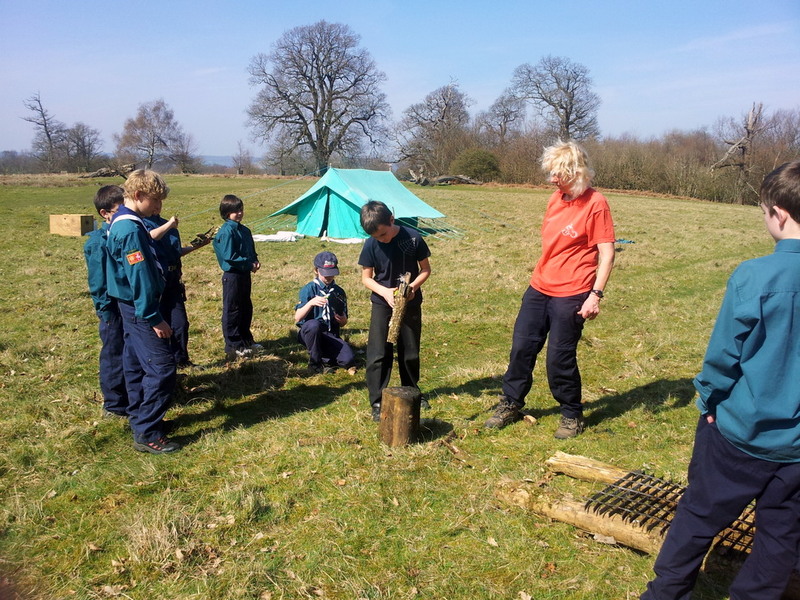 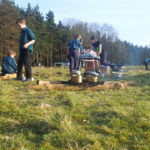 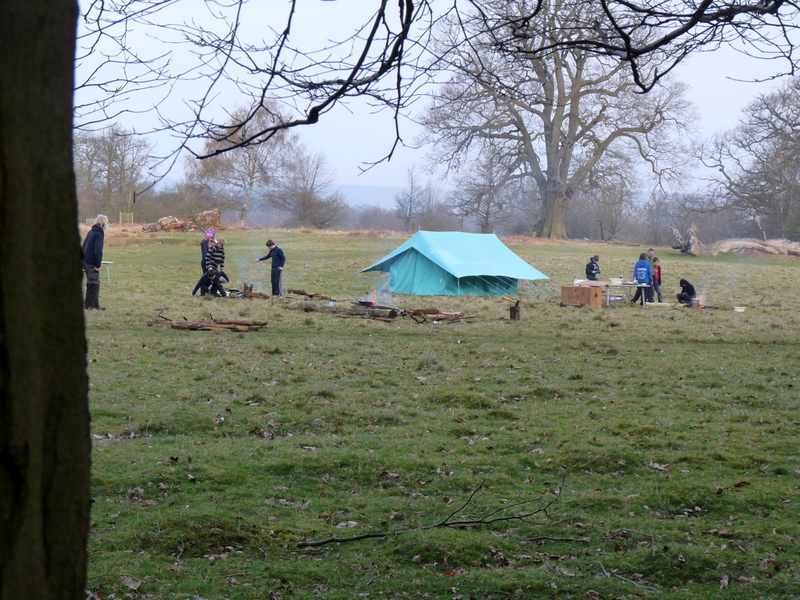 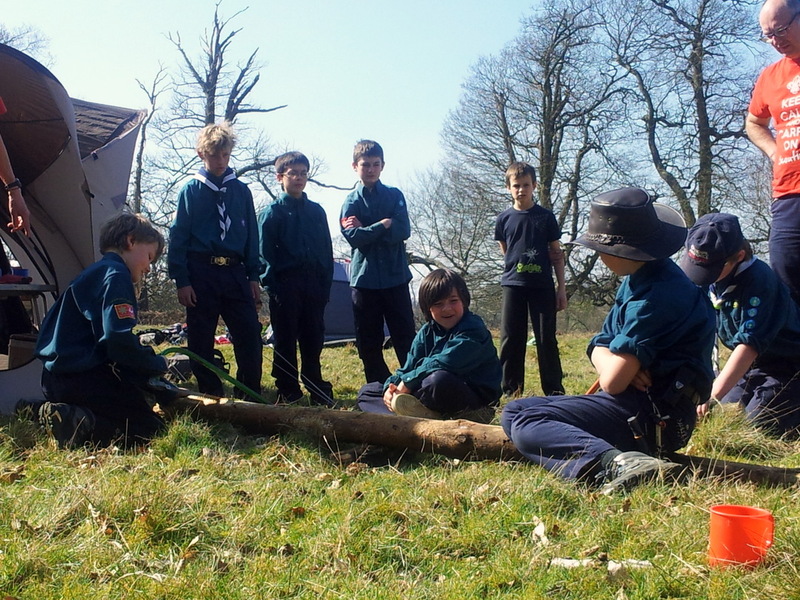 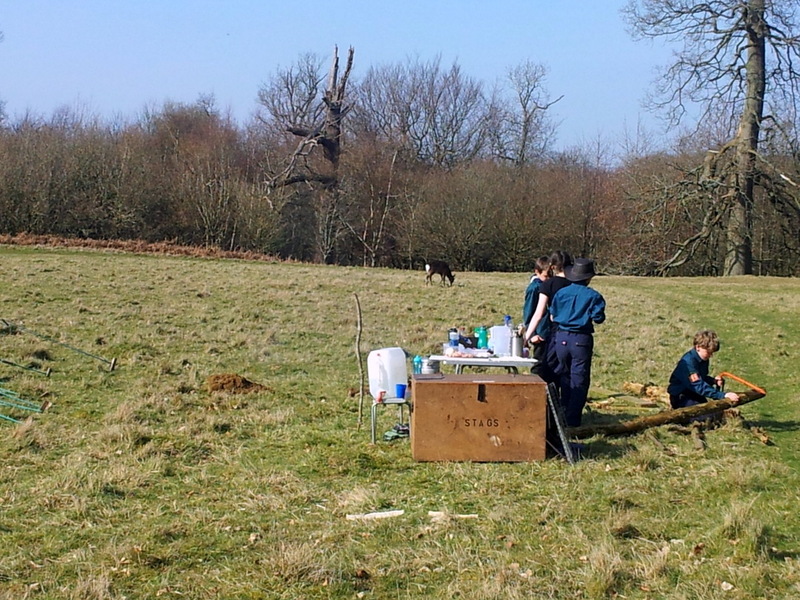 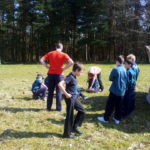 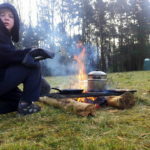 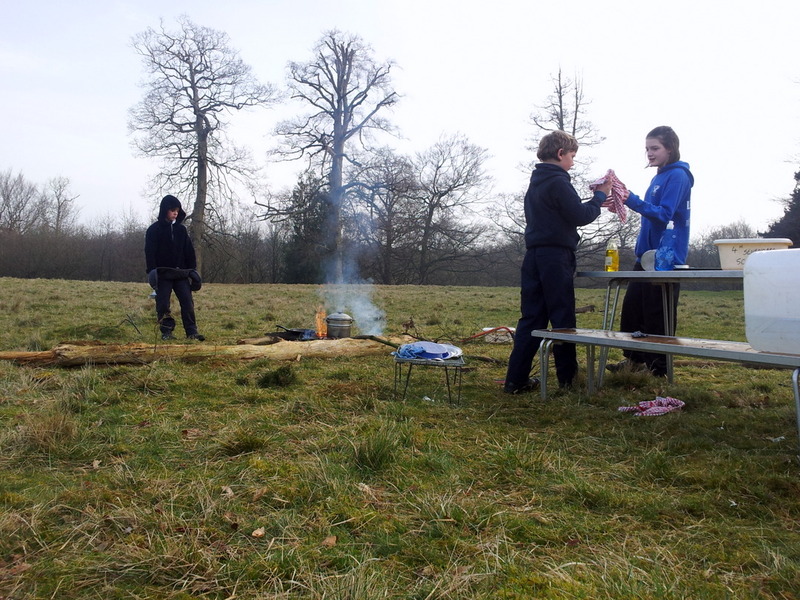 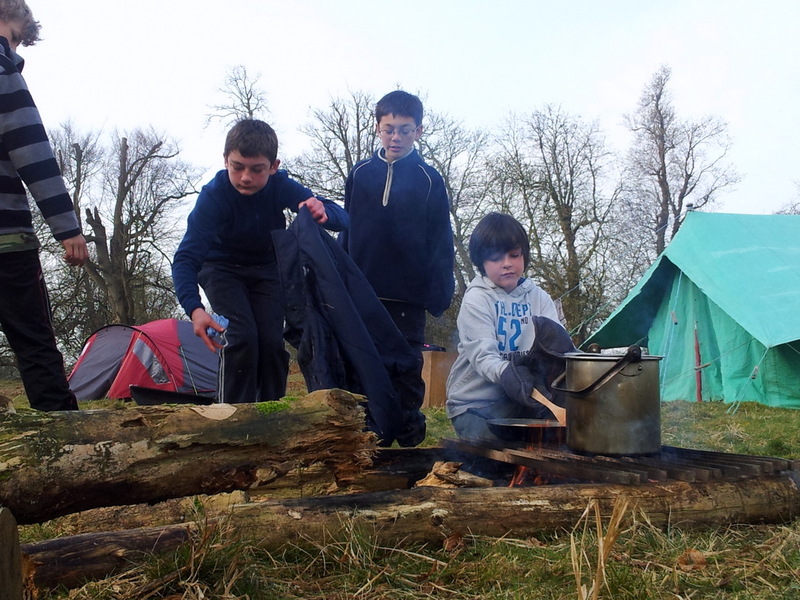 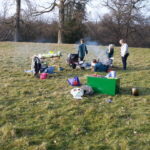 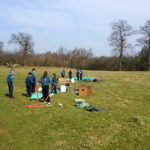 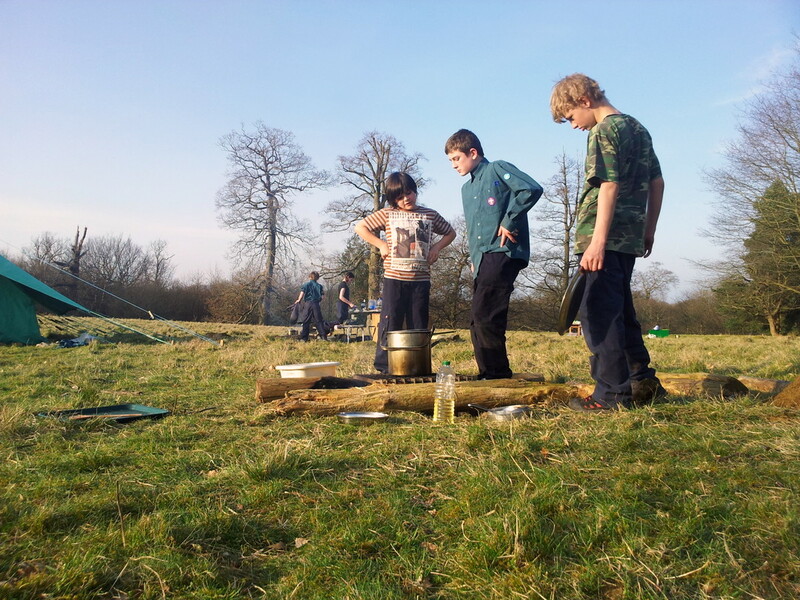 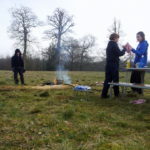 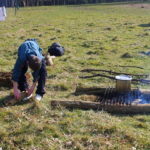 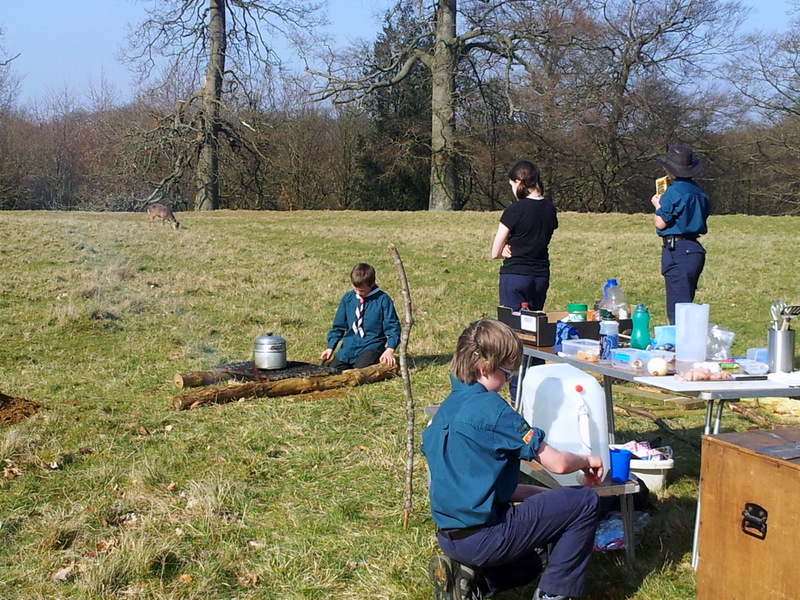 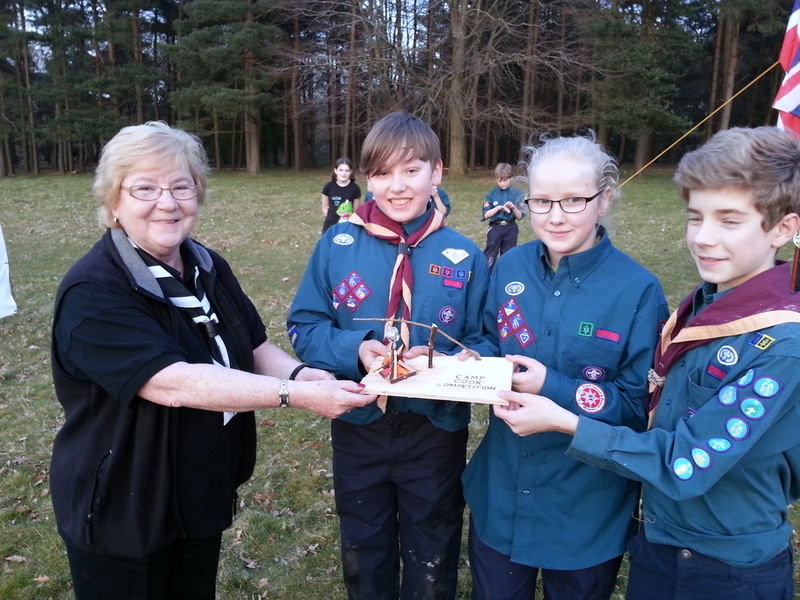 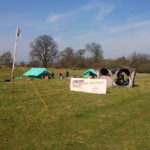 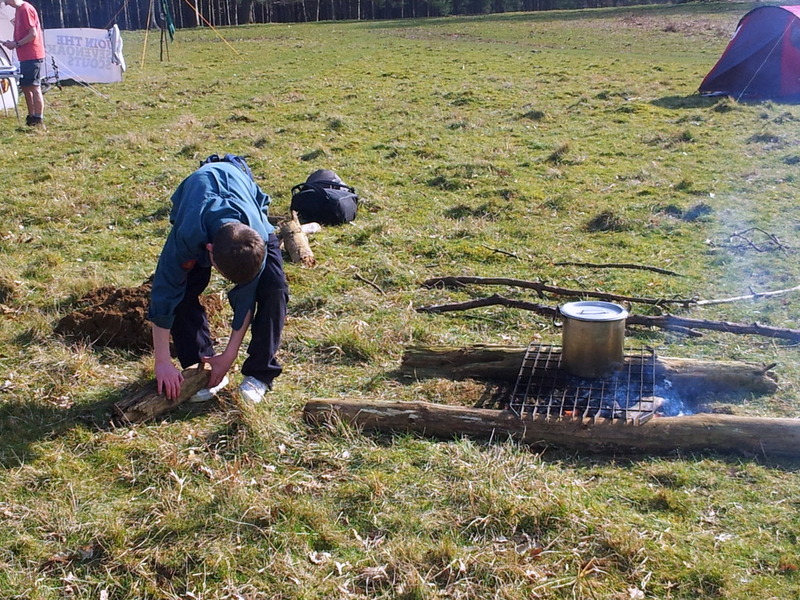 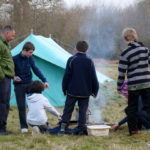 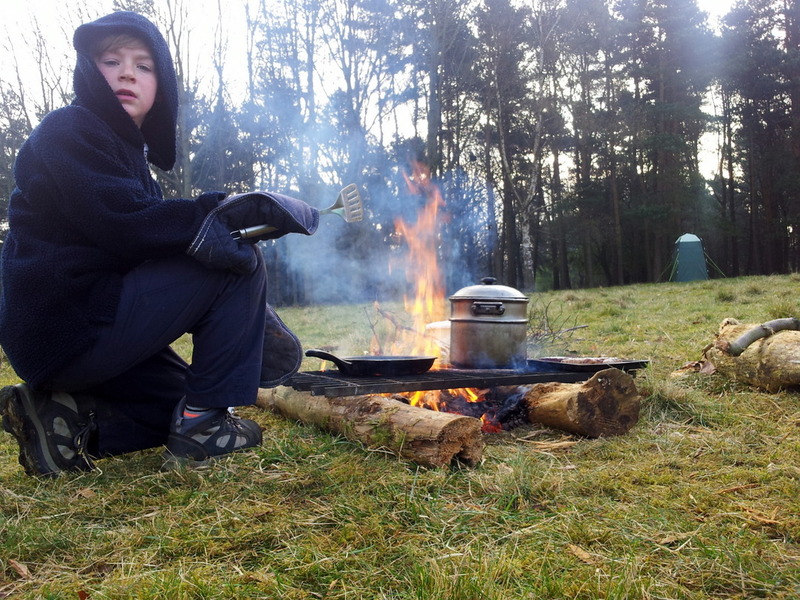 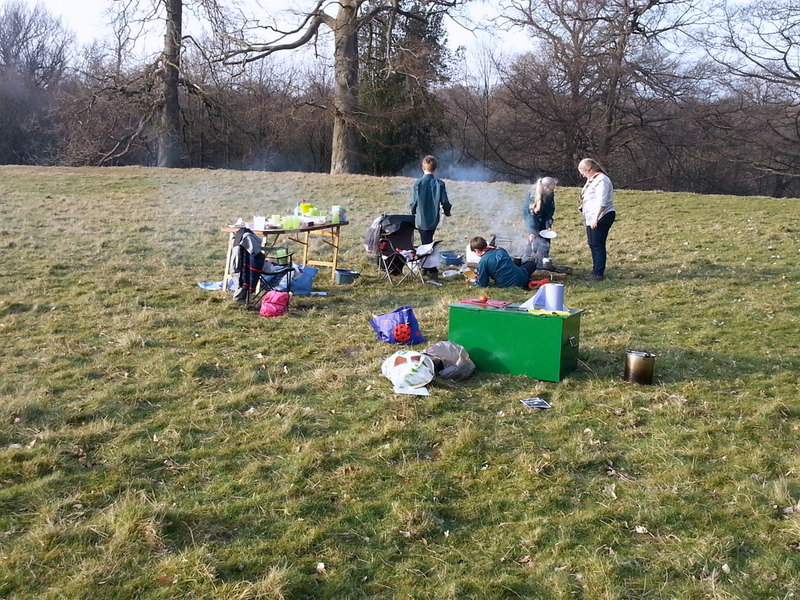 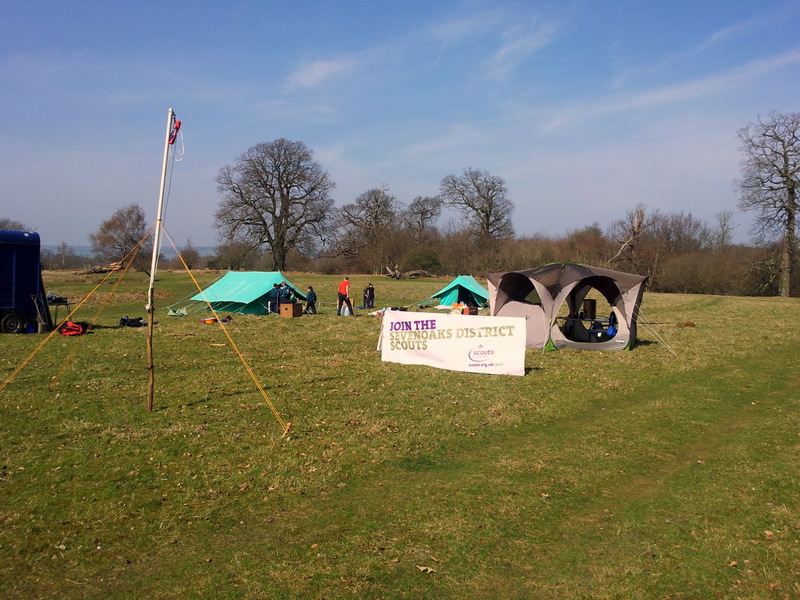 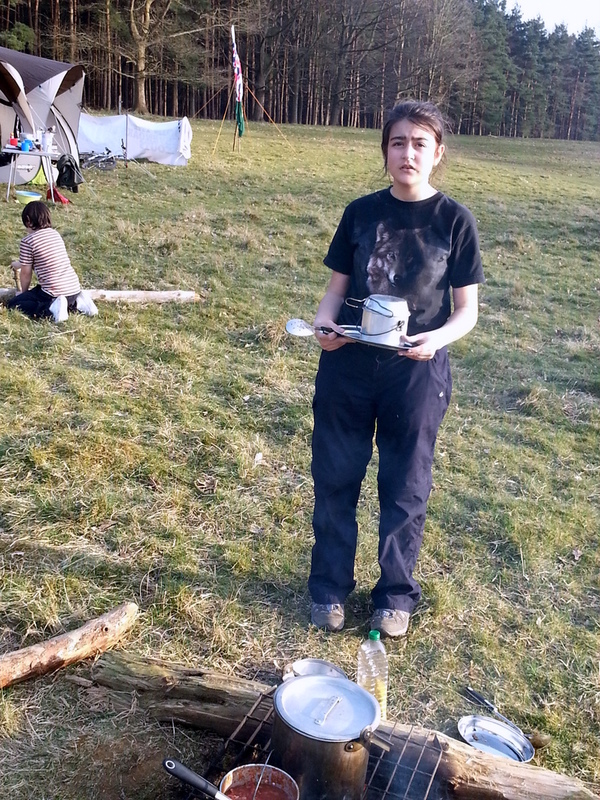 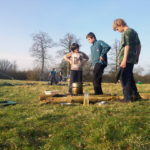 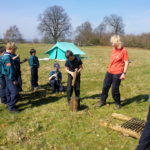 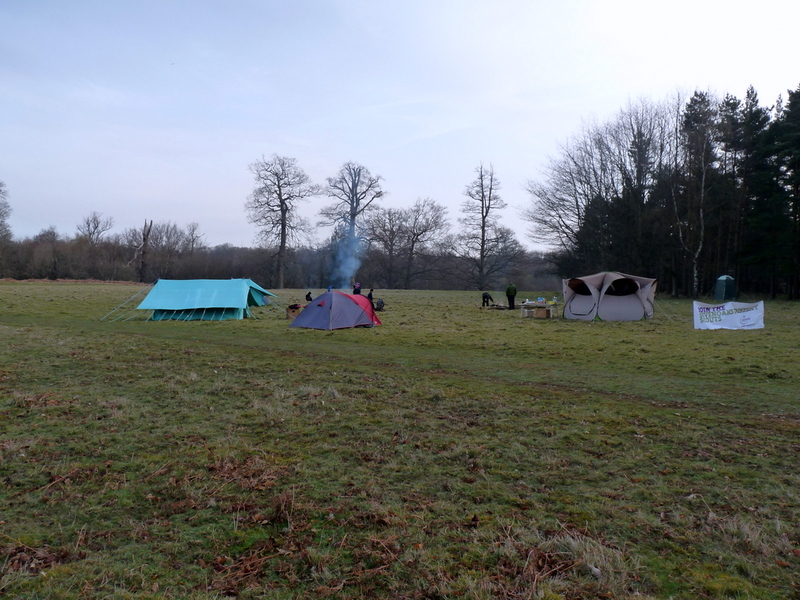 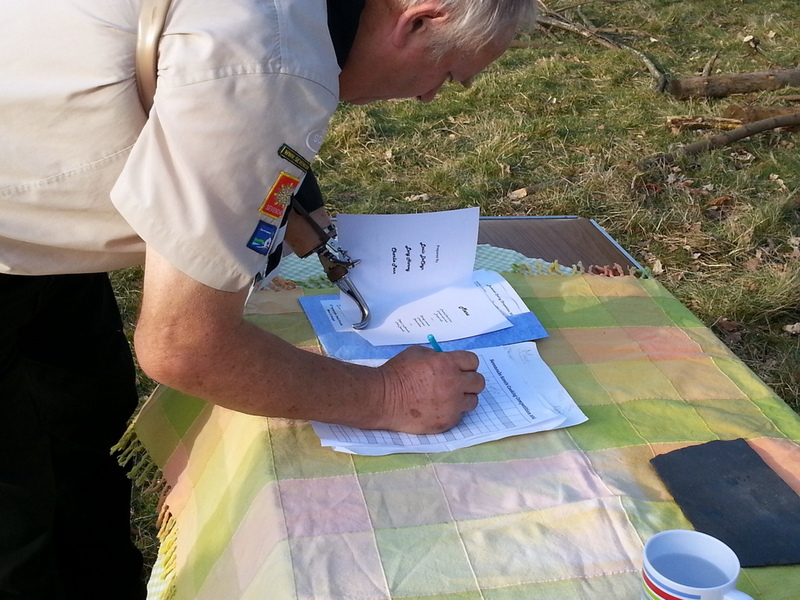 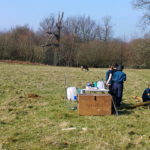 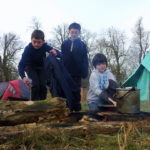 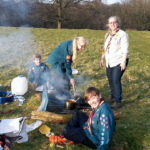 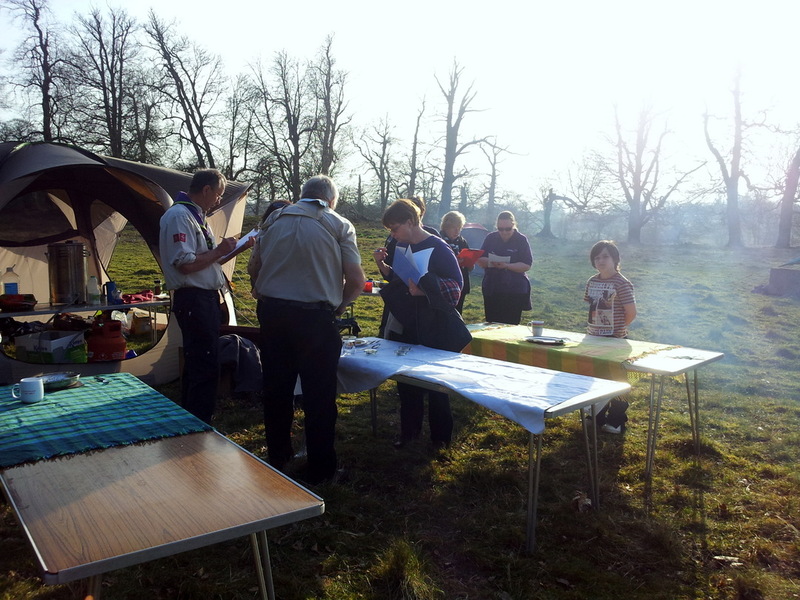 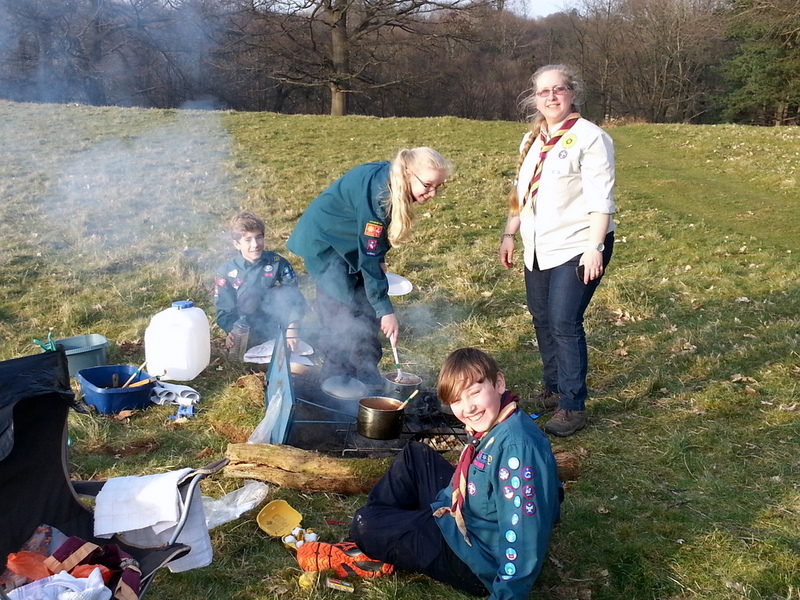 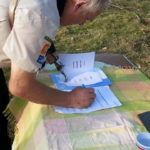 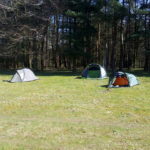 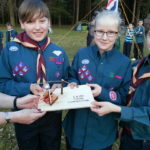 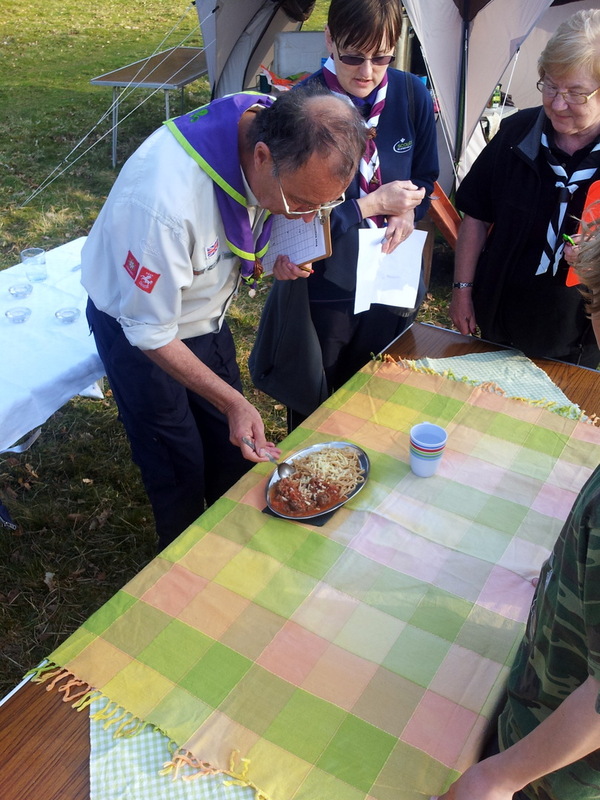 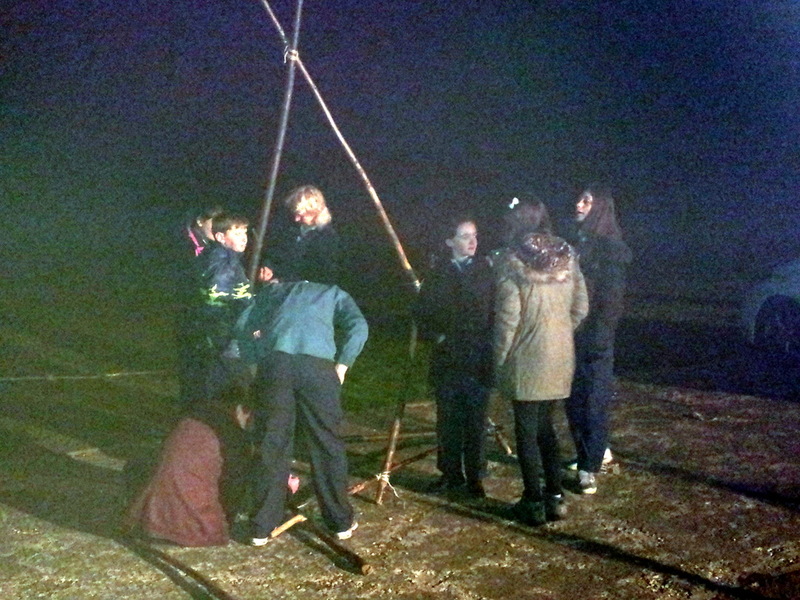 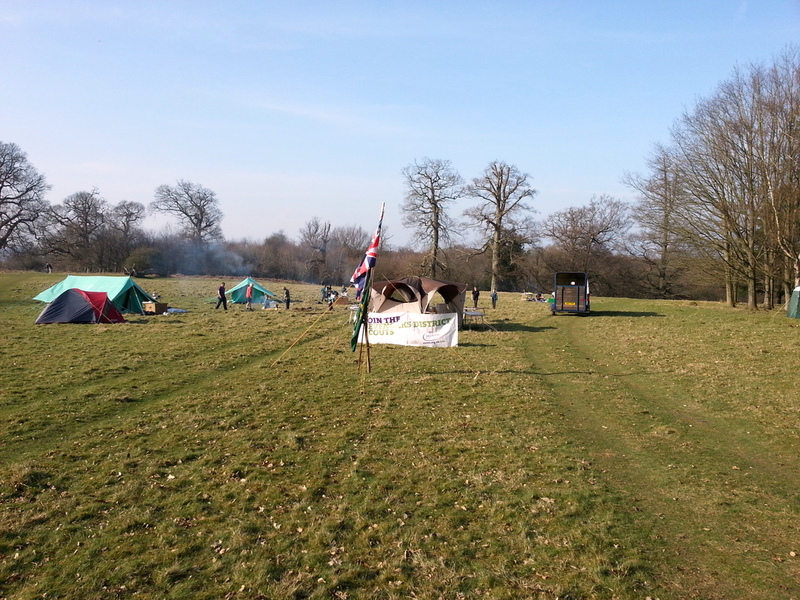 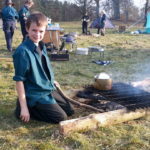 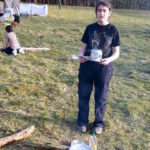 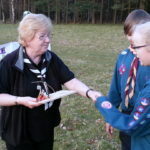 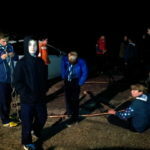 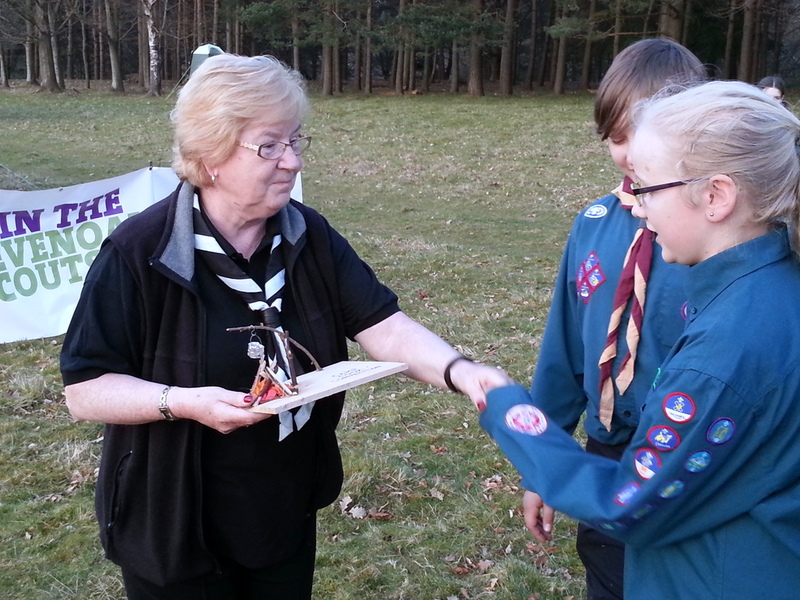 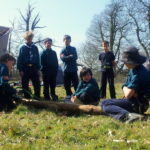 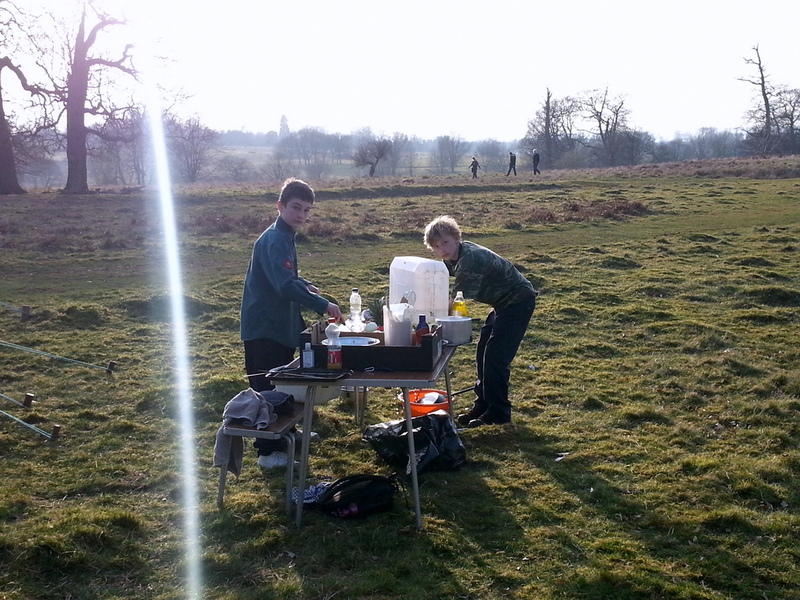 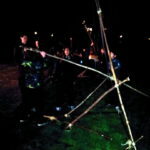 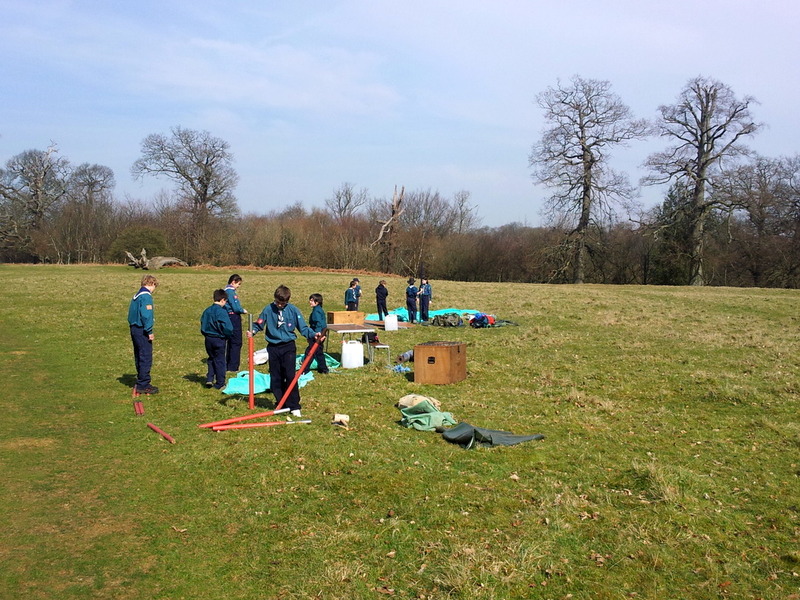 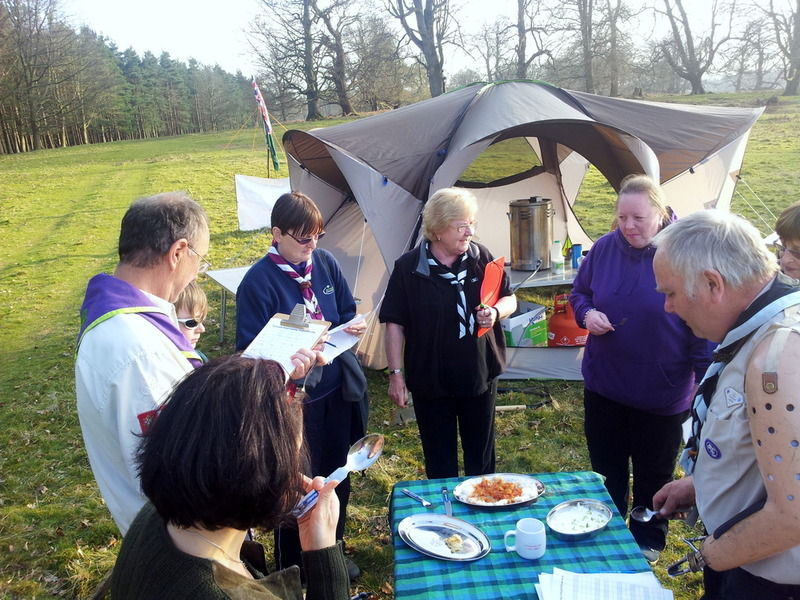 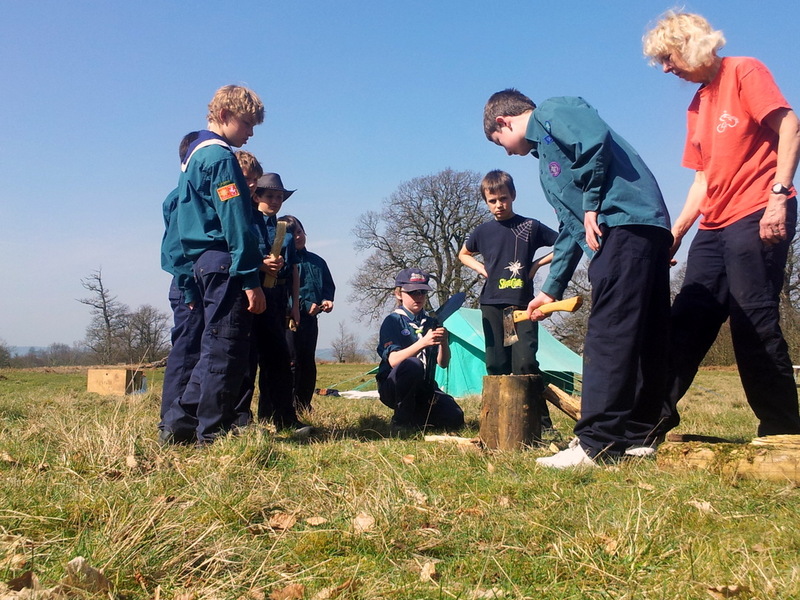 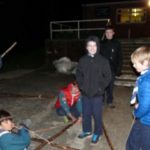 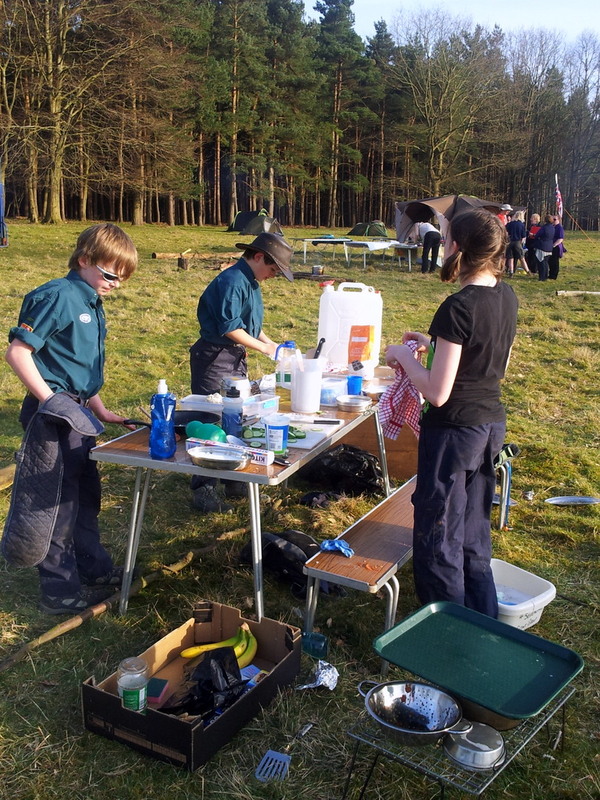 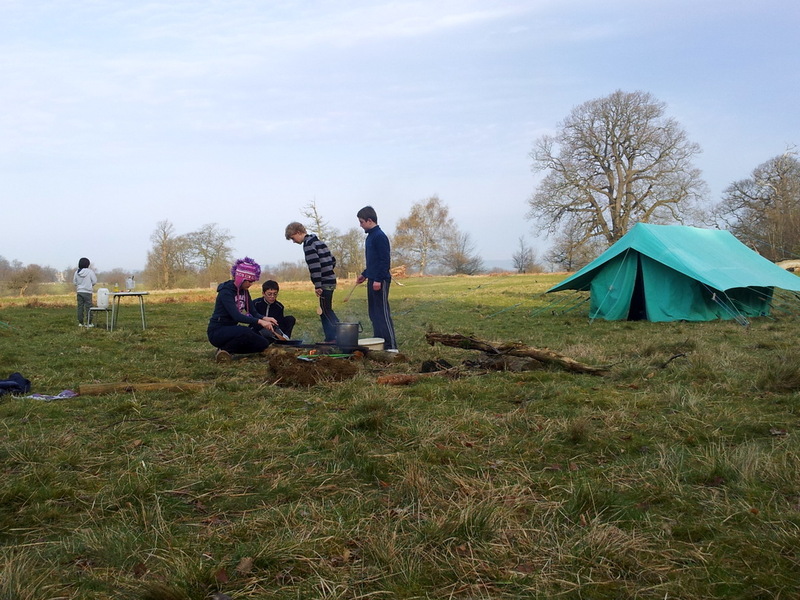 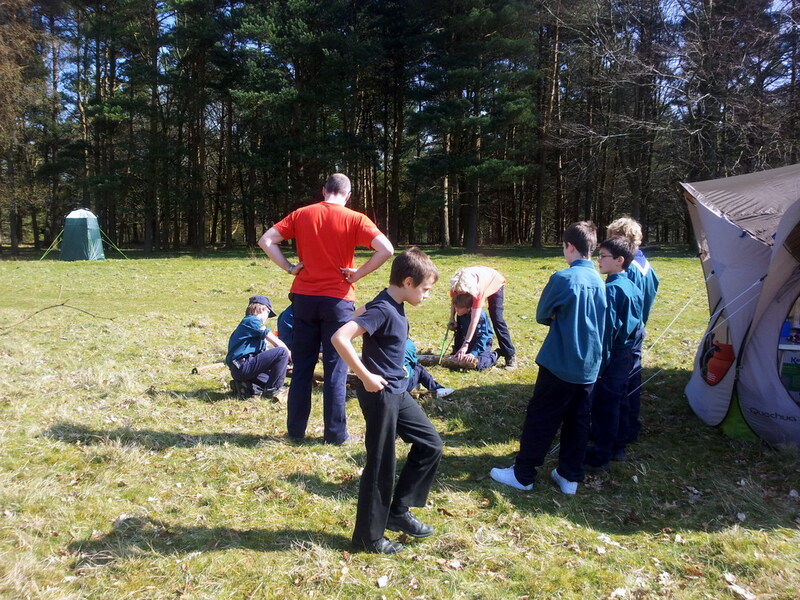 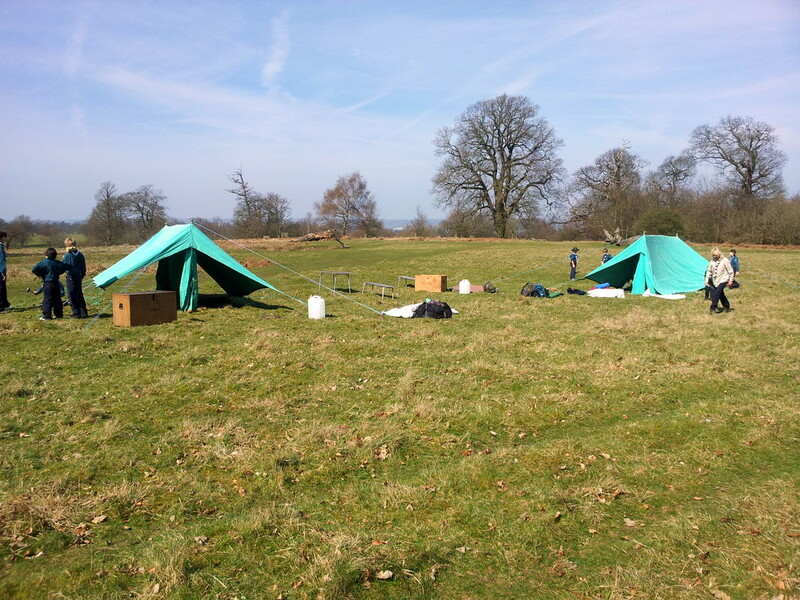 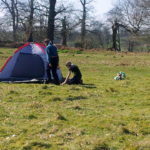 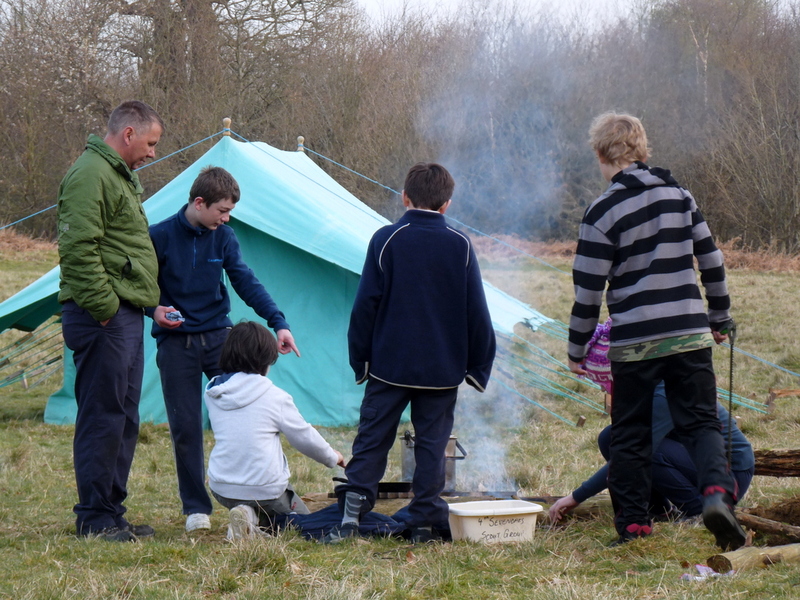 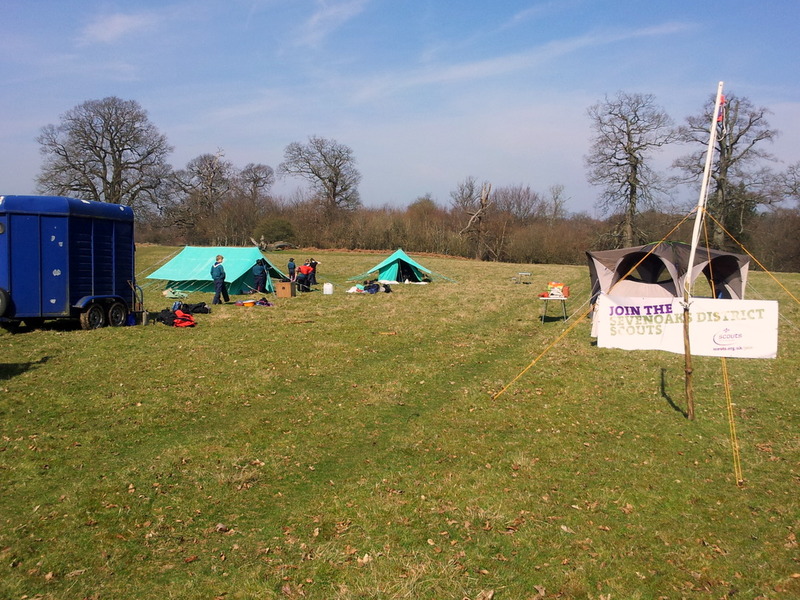 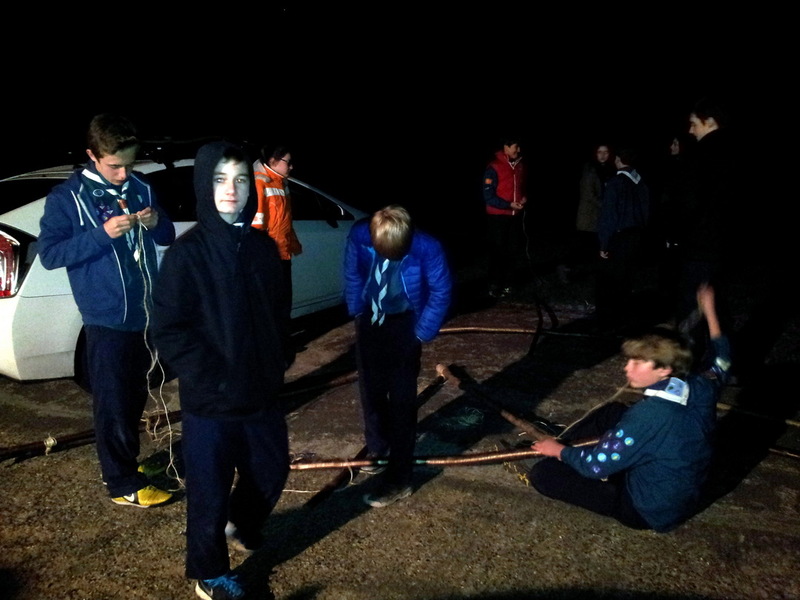 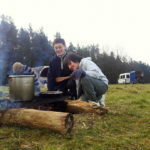 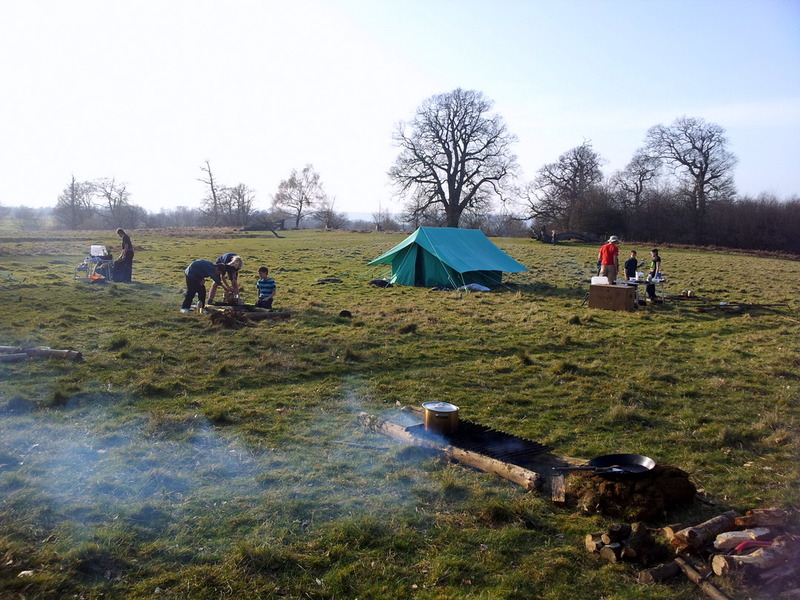 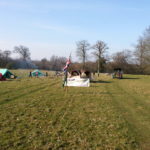 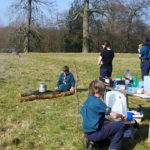 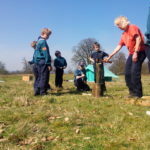 The scouts did very well and all enjoyed, what was for many of them, their first camp as scouts. 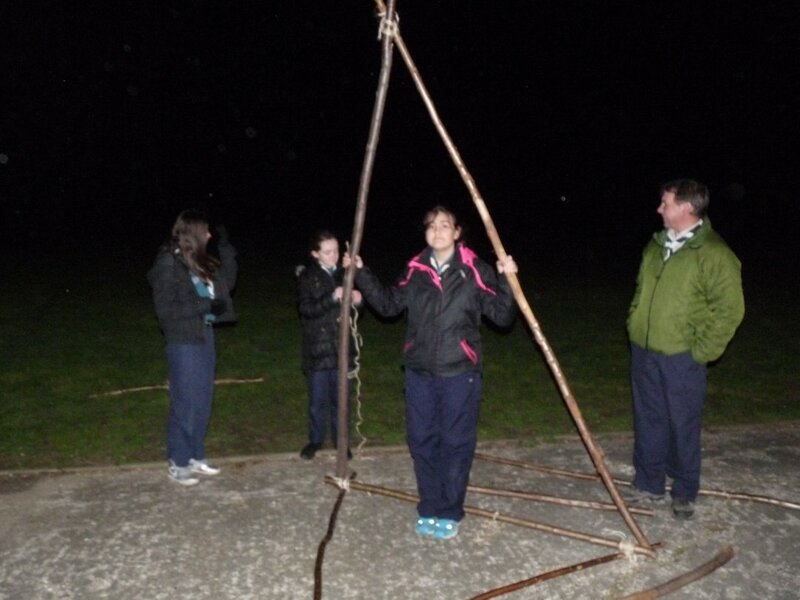 Maggie and Natasha did an excellent job as patrol leaders too. 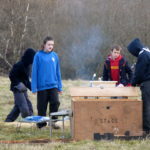 After the somewhat disappointing end to Great Balls of Fire 2: The balls bite back, where we failed to ignite our fireballs. 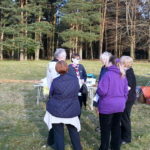 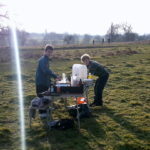 We had another go on Friday, this time with more success! 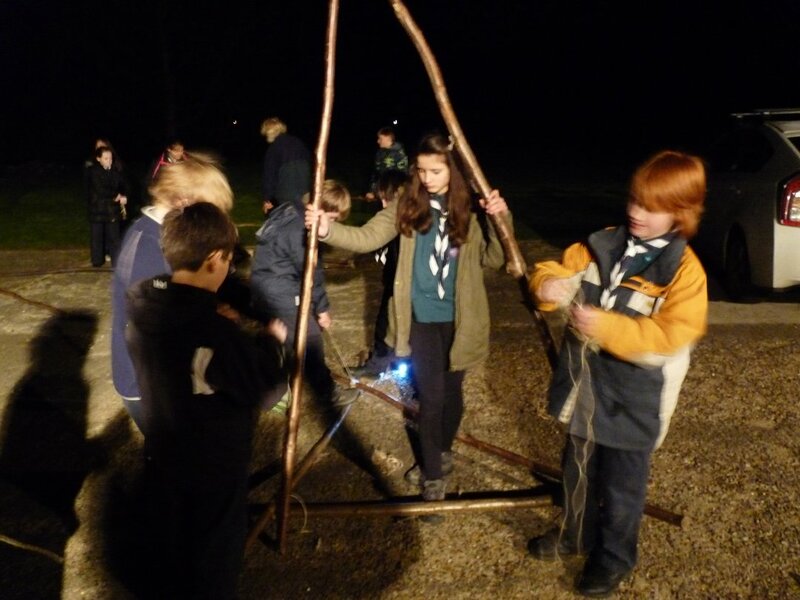 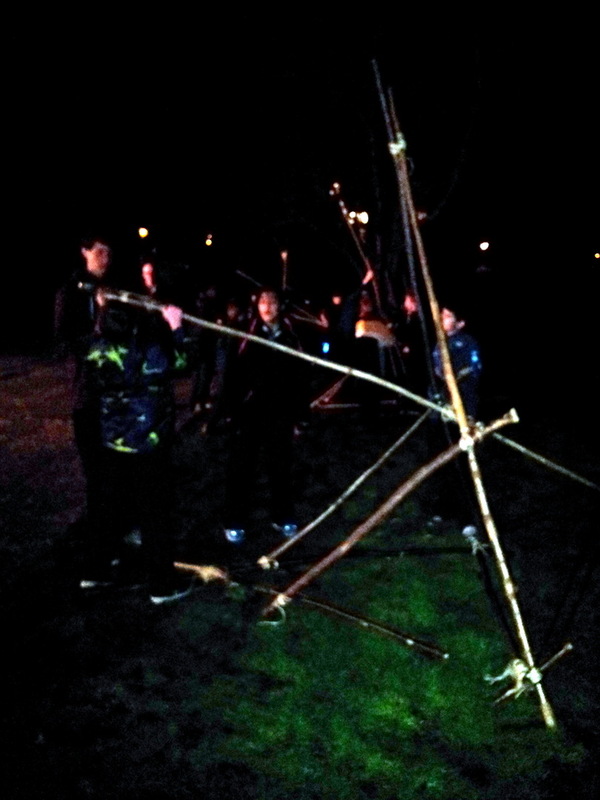 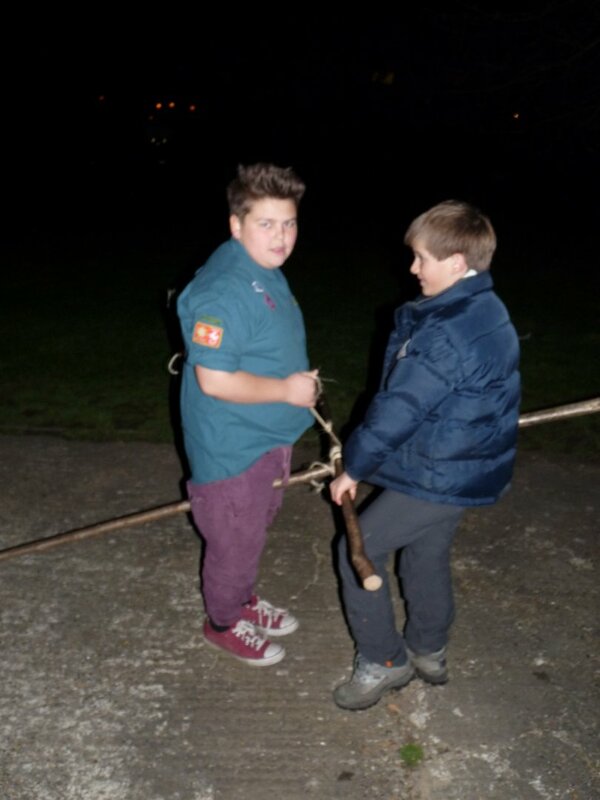 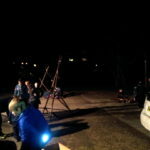 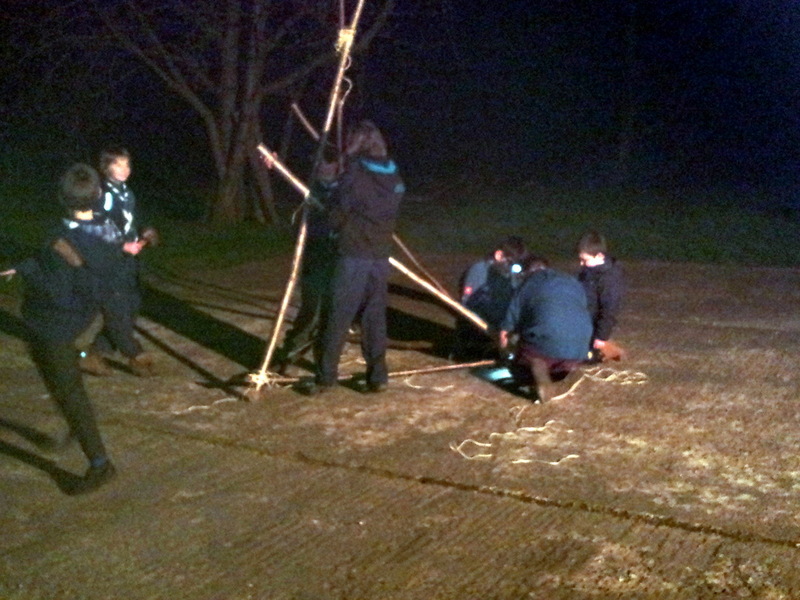 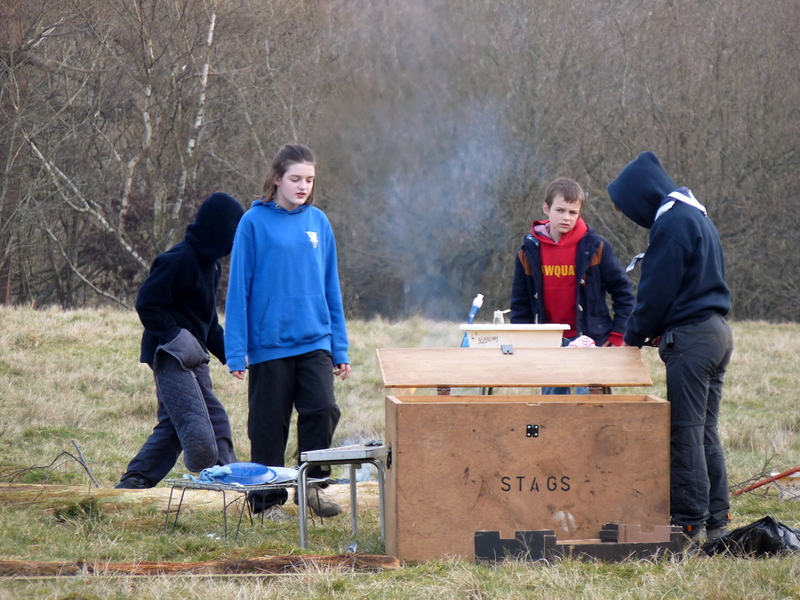 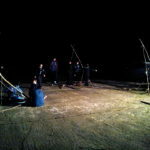 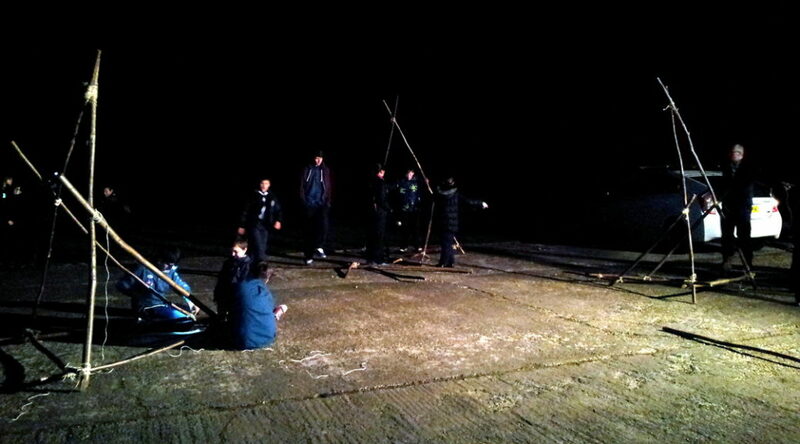 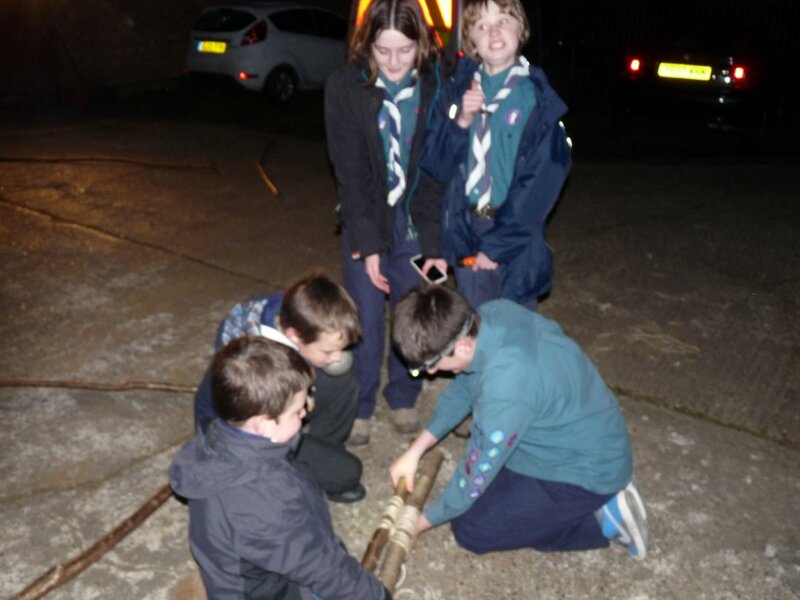 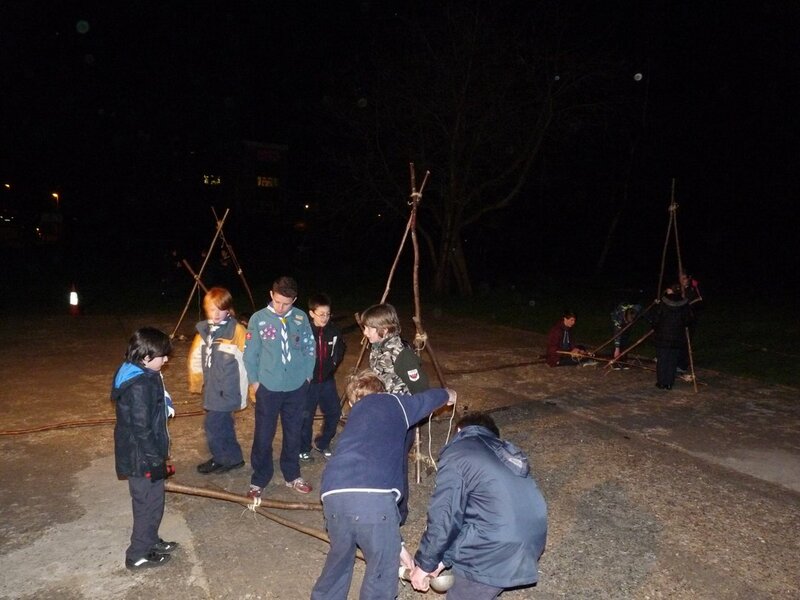 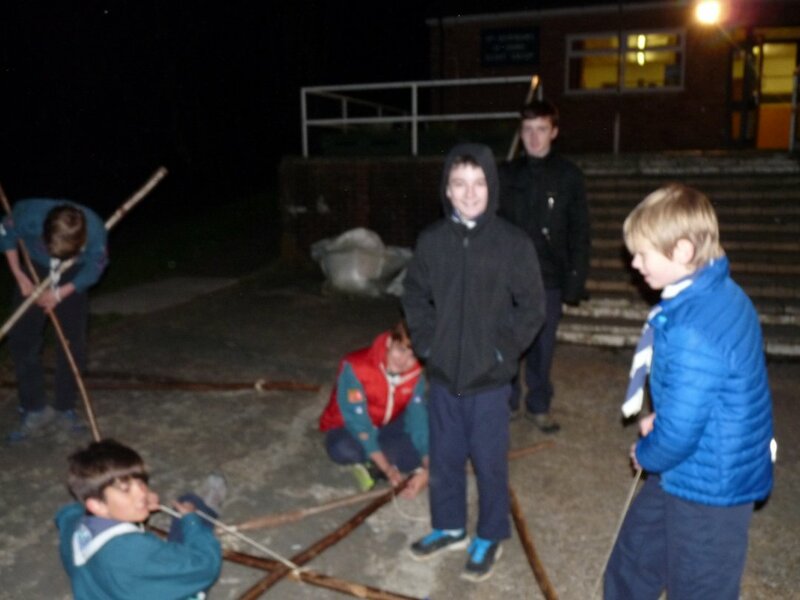 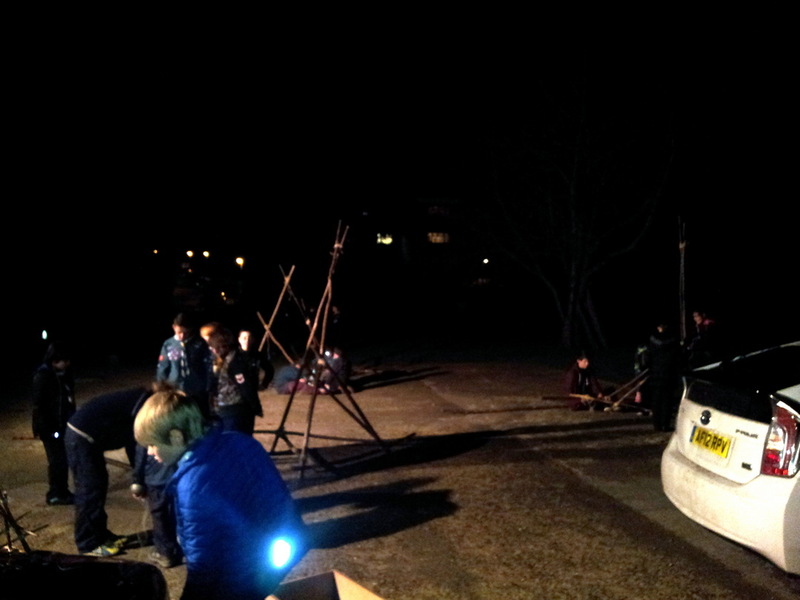 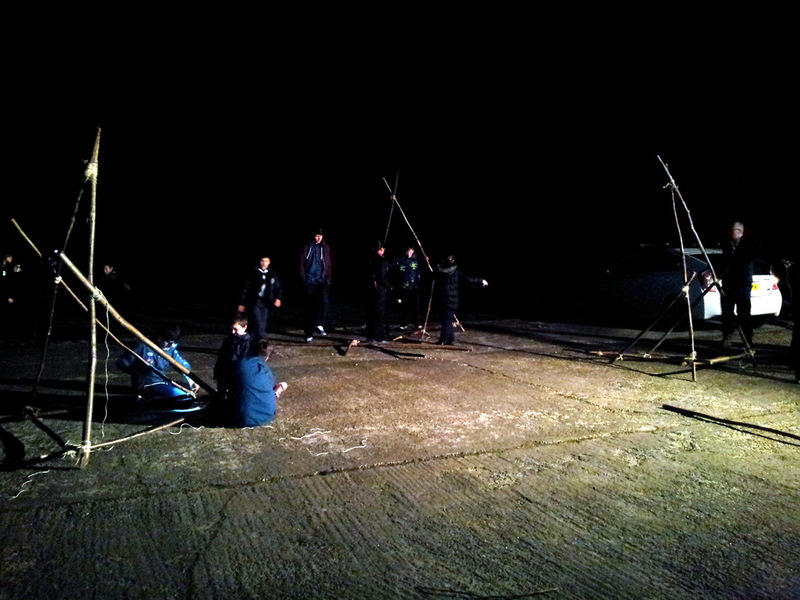 In somewhat of an anticlimax, our balls failed to light at the end of our trebuchet building evening on Friday. 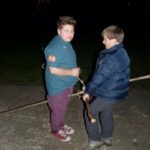 We will investigate our ball issue and have another go at firing them next week. 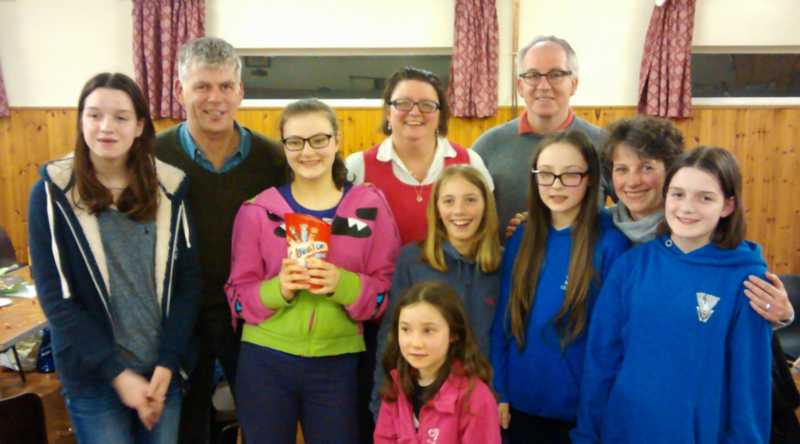 After an long evening quizzing, the Bourbon Bunch came out top by a single point in the Sporting Quiz. 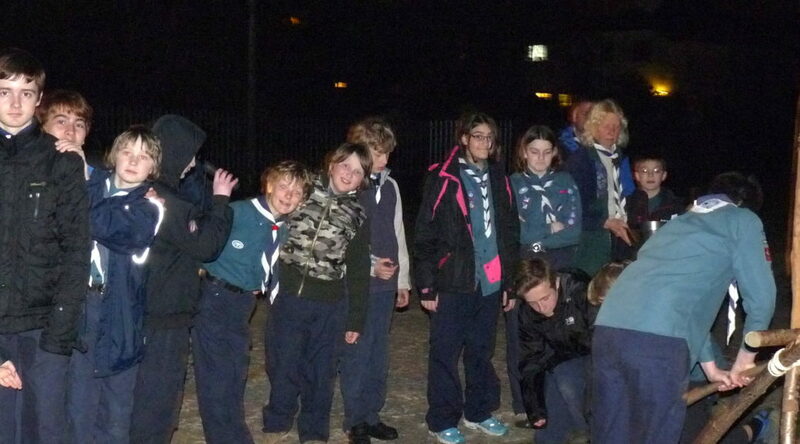 Many thanks to everyone involved in organising the evening and the fantastic food. 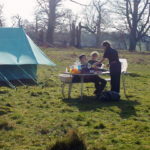 This lets us take a percentage of your online spending back from the retailers you visit – it does not cost you any extra. 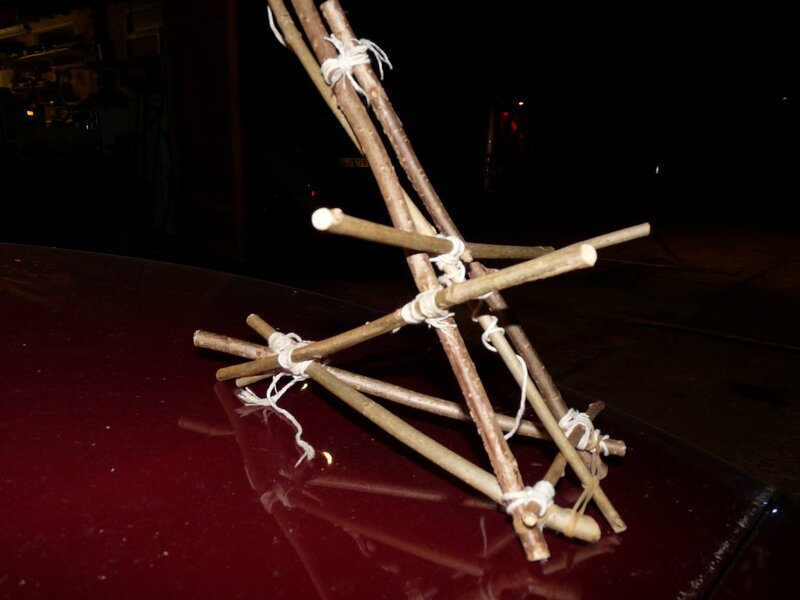 Unlike other schemes, this one is almost totally painless (and I am one who usually ignores this type of thing). 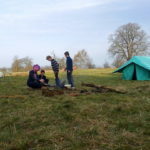 There is a full explanation of how it works on the easyfundraising page under resources on the web-site. 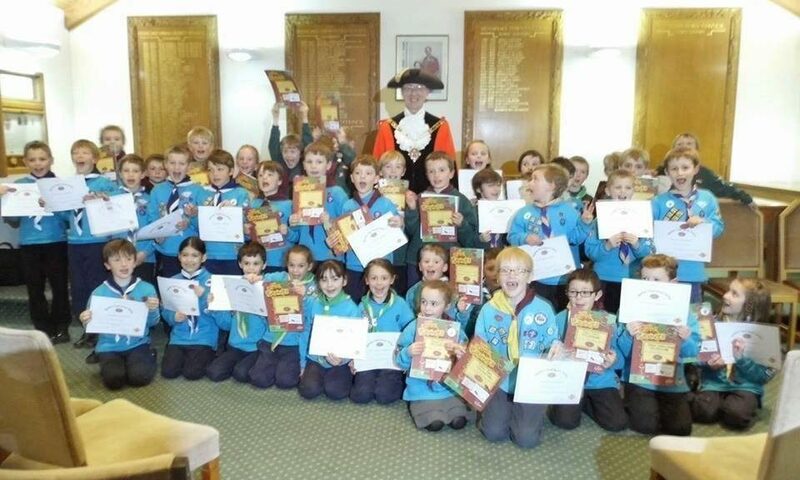 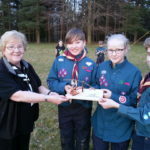 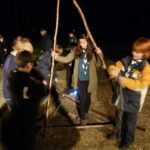 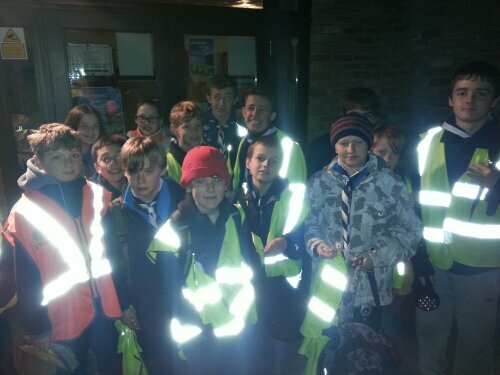 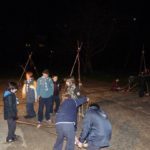 You knew that, if the Cubs organised the evening themselves, there would be sweets involved, and that’s how it turned out! 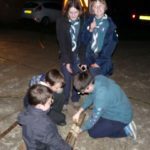 They started with a paper aeroplane design challenge (sweets as prizes) to a paper aeroplane race (sweets as prizes) – won by Alfie. 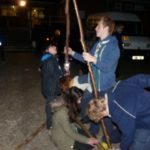 The ladder game was followed by – which team can build the highest Polo tower (Kai’s group) (you can guess what the prize was). 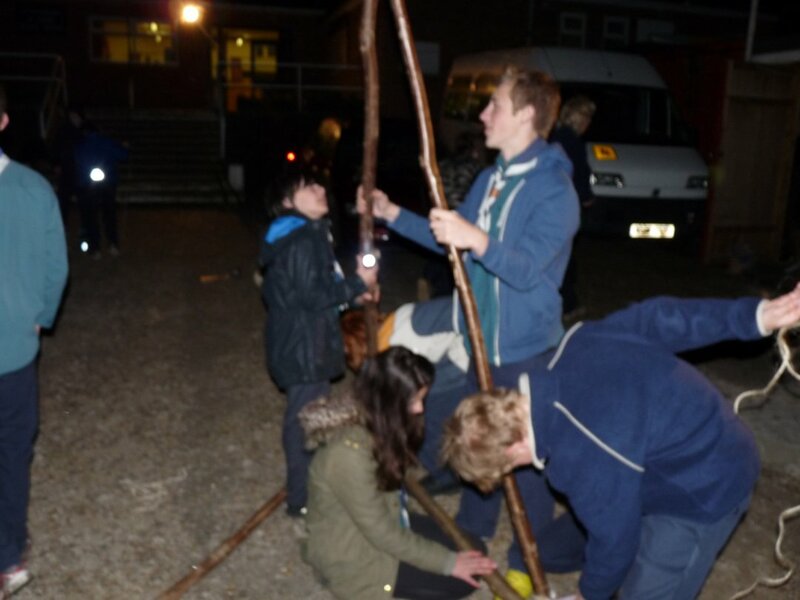 The evening finished off with an eating-sweets-with-chopsticks challenge (no prize necessary). 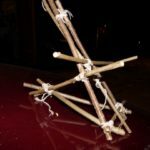 Written with the help of Daisy! 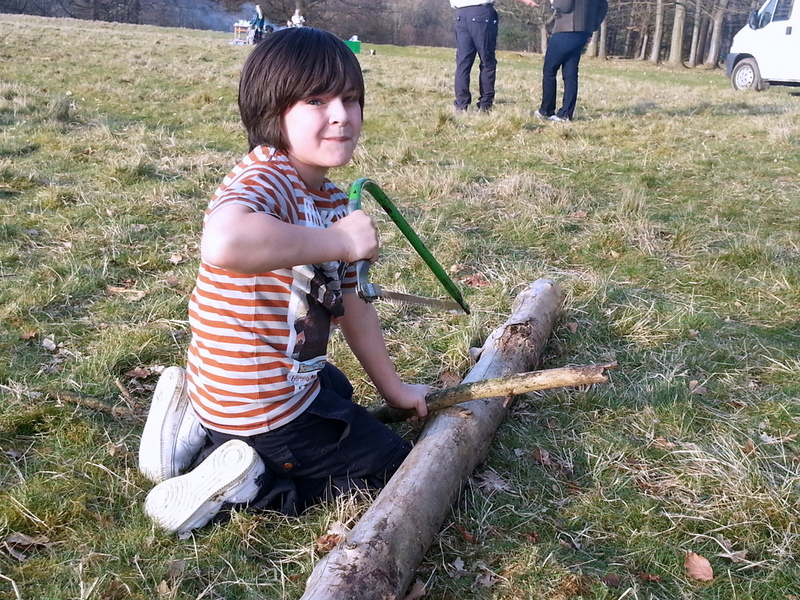 This year’s “Active Kids” scheme starts on 29th January 14 and runs until 20th May 2014. 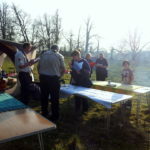 Please collect the vouchers and post them in the collecting box at the Scout Hut. 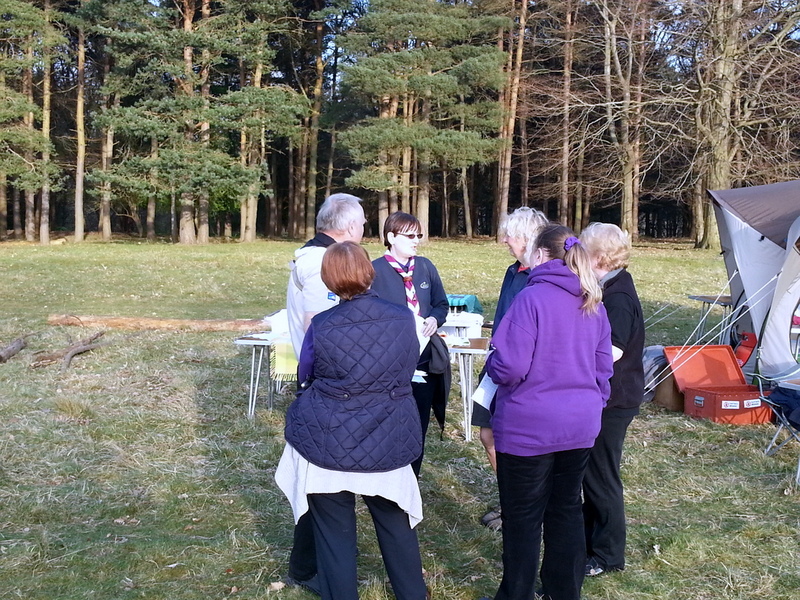 The leaders are currently browsing the catalogue and compiling their “wish list”. 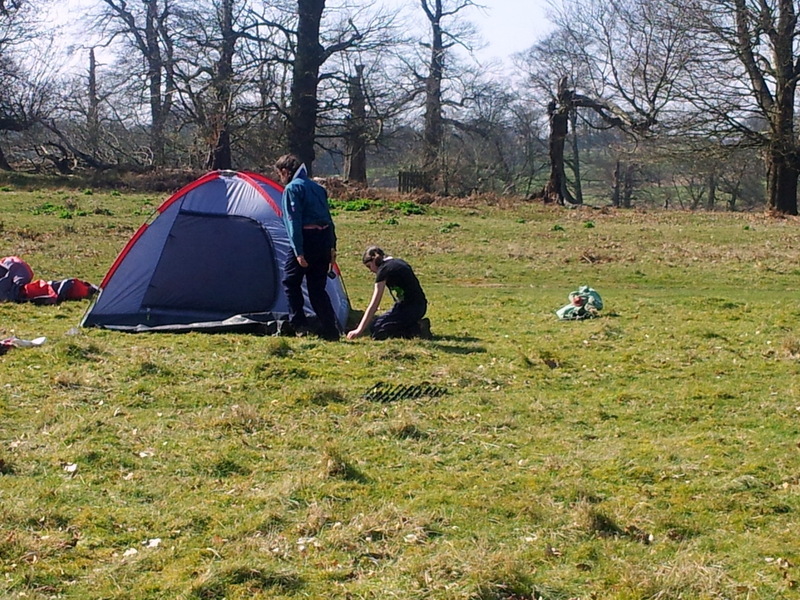 Thanks to your generosity, we received two big bags of sports equipment, which everyone in the group uses. 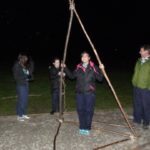 Following on from last year’s quiz night, we have a new and improved one for 2014 – this time with MORE activities for children – MORE questions for teens – MORE food options. 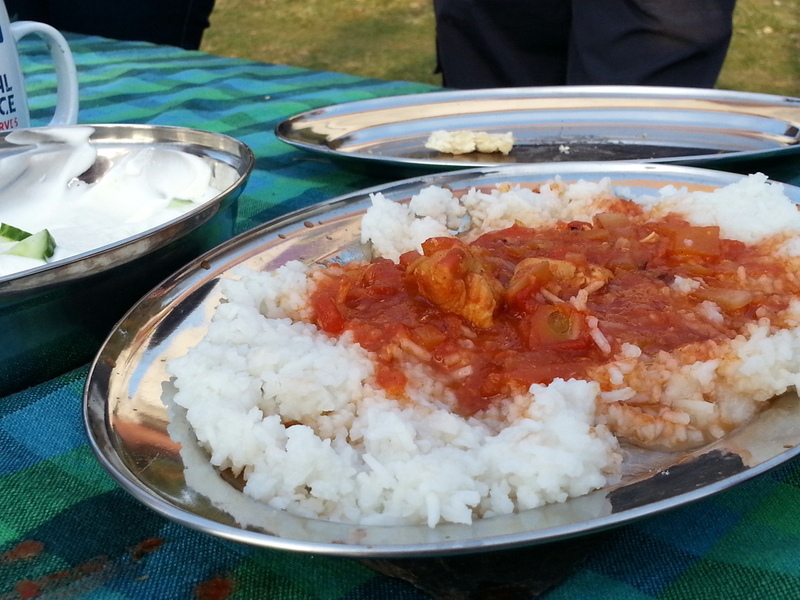 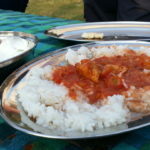 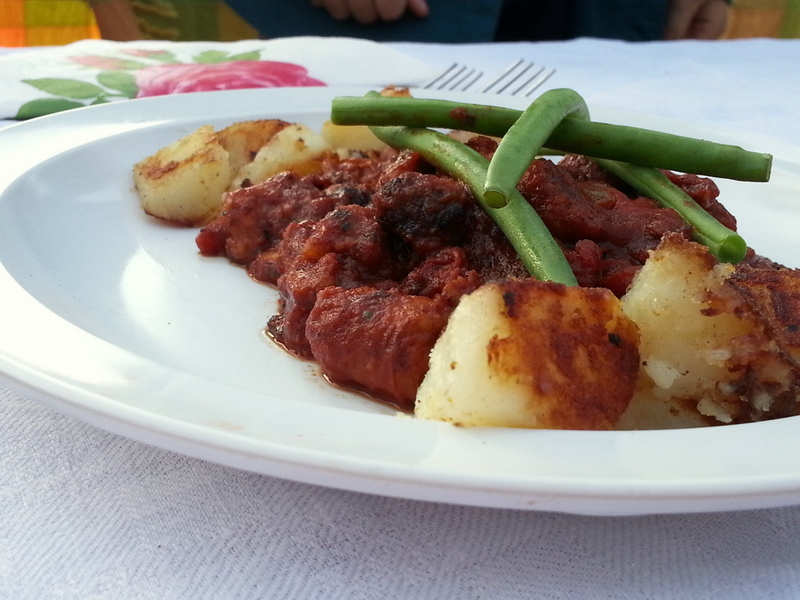 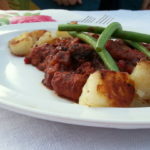 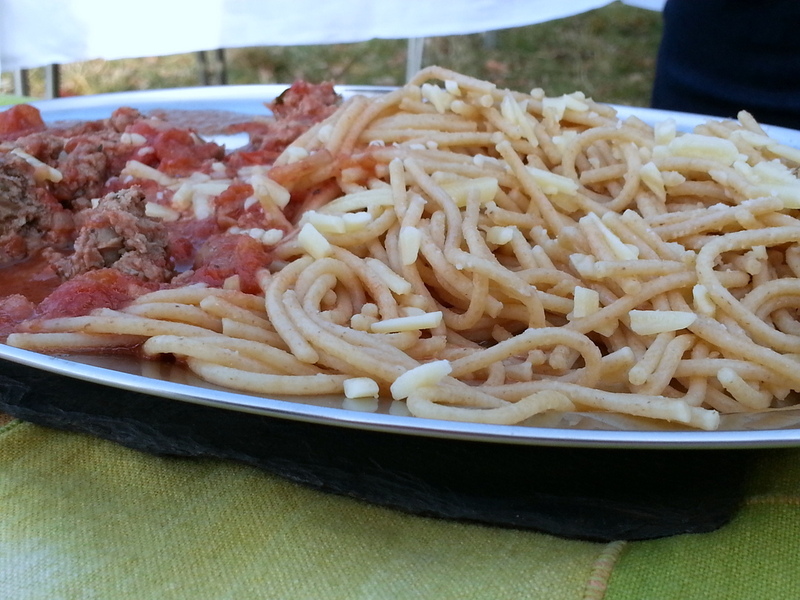 Food-wise, we will be serving chili con carne with rice or a tomato pasta. 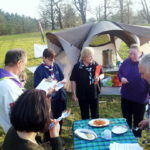 or £2 for just the quiz. 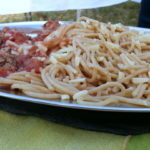 Speak to your Section Leader for tickets.